I've been blogging a lot longer than most people. I started my first blog, This That and the Other Thing in 2005. I had no real focus (bet the title gives you some clue about that) but I liked to write and thought it was neat that I could put up a blog and people would eventually find it and read it. My first readers were a few online friends who were also trying out this blogging thing. 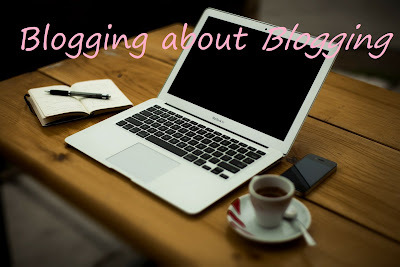 When I started blogging I had a dial-up internet connection, no digital camera and no real idea of how to format posts or do much of anything, and if you look at those early posts, it shows. I posted sporadically in 2005 and 2006, sharing links to interesting websites, giving my opinions about current events or writing about my faith. In late 2006 I discovered book blogging and I gradually became a book blogger, at least most of the time. Much of my early on-line activity was with a Catholic moms group on AOL and while I've never been one of those bloggers who talked about faith in every post or really set herself up as an online religion teacher, I did (and still do) have posts about my faith and for over five years I hosted a Catholic bloggers link-up. Over the years I've participated in a lot of blog link-ups and other blogging communities. I find it interesting to compare and contrast the various types of blogs I read. While reading is generally considered a solitary hobby which is enjoyed by introverts, book bloggers are a very community-oriented group. Many bloggers regularly participate in one or more of the "book haul" memes like "It's Monday, What Are You Reading", and "Mailbox Monday" . "Library Loot" is on Wednesdays. If memes aren't your thing, maybe book challenges are. Most of these start in January, but some start during other seasons. Bloggers write posts about how many books of what type they will read, and link up their original posts and follow-up posts. Of course the main thing book bloggers write about is books. Book review posts are mainstays along with author interviews, chapter excerpts and book spotlights. While book bloggers may have ads on their sidebars and Amazon affiliate links in their posts, most book bloggers are not in it for the money, they are in it for the books. Anyone who has had a book blog for any length of time and who has evidence that her (and most book bloggers are "her") blog is read by others will be able to get review copies of books at no cost. While there are a number of programs and publicists which send out hard copies of books for review, more and more of them are moving to digital review copies. While I sometimes miss the days when the mail carrier brought me two to three books a week, the fact of the matter is I now no longer have to figure out what to do with all those books. While I could have sold some of them, from what I could see, the little money I would make was hardly worth the trouble. While there are many self-hosted WordPress book blogs, there are plenty of us on Blogger and the free WordPress site too. These seem to mostly be written by stay-at-home-moms of small children. These bloggers seem pretty community oriented and tend to participate in link-ups. Some are clearly just showing off their kids and trying to meet other moms. Others seem to be trying to make money--or at least to score offers to review good products. By the time I discovered blogging, my children were beyond the super cute stage and I didn't want them to be embarrassed if a friend found my blog, so I haven't written a lot of "cute kids" posts though I have talked about my son's struggles with autism and my struggles parenting him. Financial Blogs are all about making money. They have ads, sponsored posts and some of them seem written as much for search engines as people (nope, not naming names). There are some link-ups, like Financially Saavy Saturdays on Broke Girl Rich and people do read a comment on each other's blogs but I don't generally see financial blogs (except some dividend investor blogs) that advertise other blogs on sidebars. Financial bloggers do not seem as fond of link-ups and memes at book bloggers and mommy bloggers. There are definitely more professional bloggers in this area tha professional book bloggers--unless you count authors who use their blog as a personal public relations page. I suspect there are as many professional mommy bloggers as professional financial bloggers, its just that there are so many hobby mommy bloggers out there, whereas I'm one of the weirdos in the financial blogging world who has no intention of putting enough time or money into my blog to make it into the big time. Depending on the people, I've found (and this is my experience which may not be true for all) religious bloggers to be some of the nicest bloggers, often rallying around each other and supporting each other's efforts or some of the nastiest. I blog because it is the ultimate in vanity press. At no cost (because I'm one of the few financial bloggers who hasn't used on of those handy-dandy links on every financial blogger's "how to blog" post and gone self-hosted) I can write what I want, and hope someone reads it. I like to read, I like to write and if I can make a few dollars (and yea, its a few) and get free books (more than I can read) then I'm happy. What kind of blogs do you like to read? Are you a blogger? Do you have more than one blog? Why did you start blogging? How long have you been blogging? Are you still blogging for the same reason you were when you started? 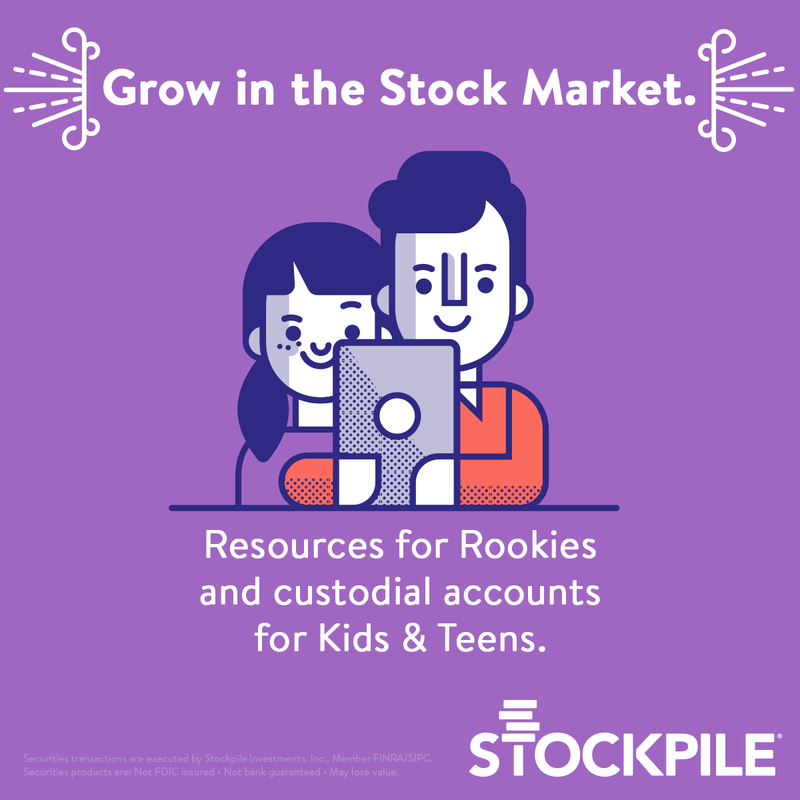 You don't have to read investing blogs very long before coming across the idea of investing in dividend growth stocks--stocks that pay a yearly dividend and which have historically increased that dividend on a regular basis. 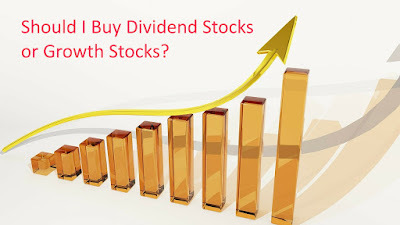 Those who champion dividend growth investing liken it to planting a money tree--once you have planted it (purchased the stocks), the fruit is there for the picking (dividends are paid regularly) and increases as time goes on. The stock that pays you a $3.00 dividend this year may pay you $3.10 next year (or it may pay less if business is not good). 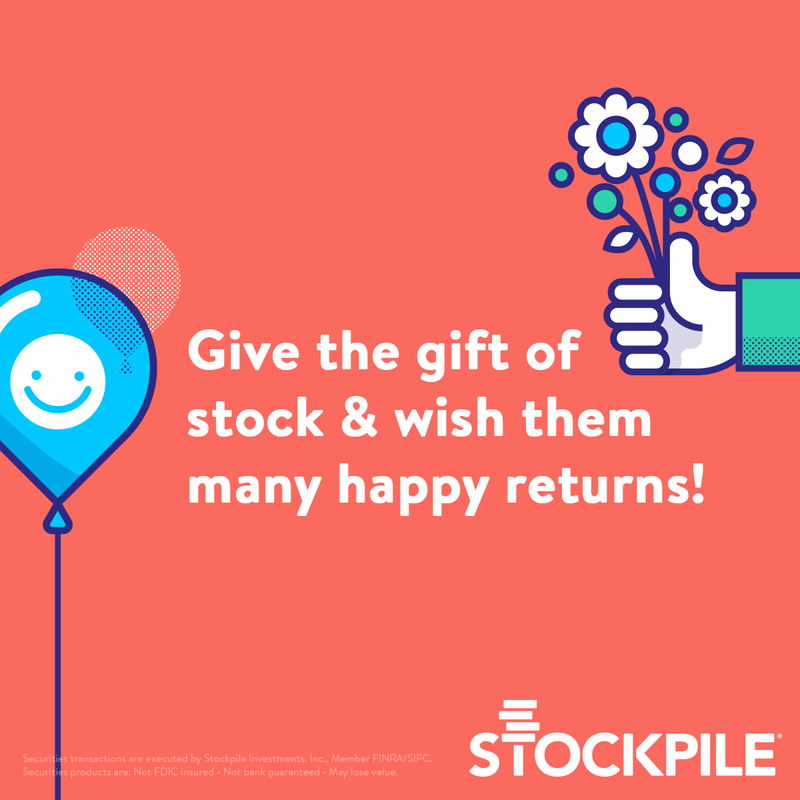 Last week I read an blog post (and I wish I had bookmarked it) in which the author eschewed dividend growth investing, stating that generally when dividends were declared, the value of the shares dropped the same amount, giving you a zero-sum game, except that you had to pay taxes on the dividends. Something about that statement didn't sound right to me, so I did some math. Disclaimer: The last time I took a standardized test, my verbal skills were in the 99th percentile, and my math skills, dead average. Make of it what you will. Trying to figure out what WILL happen in the stock market is, at best, an educated guess and it isn't very useful for comparison purposes. 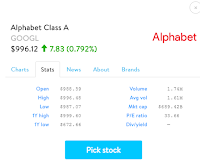 On the other hand, sometimes the price of stocks will change, sometimes substantially, not because of anything good or bad that happened to the company but because the market as a whole has moved and they get caught up in it. 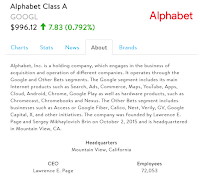 In other words, while the price of a company's stock is, to some extent, a reflection of the current and expected profits of the company, there are times that prices of shares of stock in a particular company may drop for reasons that have little to nothing to do with the company. Dividends, on the other hand, are a reflection of earnings. If a company isn't making a profit, the only way it can pay a dividend is to use savings, and no company can do that long-term. 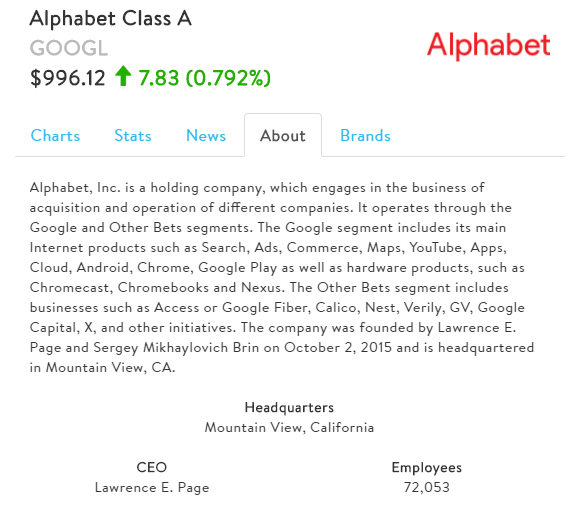 So, back to the question, is it better to own stock in a company that pays a dividend, or a company that does not, assuming the same rate of growth? 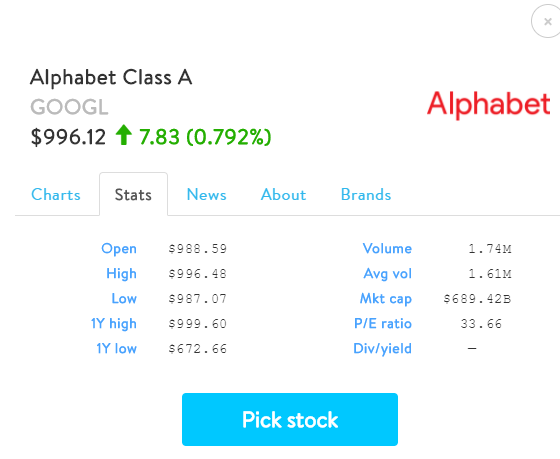 Since I know the average stock market return over the long haul is about 7%, I used random.org to randomize numbers between -10 and 20 to come up with a string of numbers that my eyeball estimate told me averaged close to that. Actually I ended up with numbers that average a little over 5% and decided to stick with them. I never took any money out of this account and at the end of eight years I had $74,305.06. 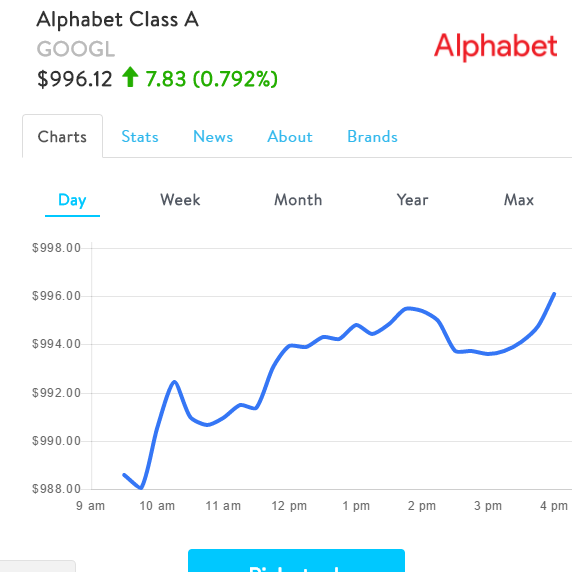 But what if this had been a dividend paying stock? Would it make any difference? My guess before I did the math, was that it wouldn't make a diffence in the accumulation phase. I was almost right. I used the same return rates on the second chart. The difference is that I assumed that this stock paid a $3,00 per share dividend on the last day of the year, and that the stock then fell in price by 3.00. 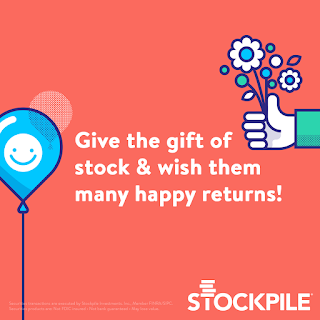 In other words, if the stock sold for $98 on the last day of the year, I opened it the next year at $95 rather than $98. However, I used that $3.00 per share to buy more stock at that opening price. At the end of the year, I computed the value by multiplying the number of shares from the beginning of the year by the post-dividend price, and then adding the dividends paid. I then re-did the chart, assuming that after the dividend had been paid, I used it as part of the $5,000 I withdrew. I thought the dividend payer would come out ahead. Well, you can tell I write these posts on the fly because obviously, there is no difference (or at least no significant difference) between getting dividends and having the price of the stock increase, whether you are trying to accumulate more stock or whether you are trying to generate cash to spend. 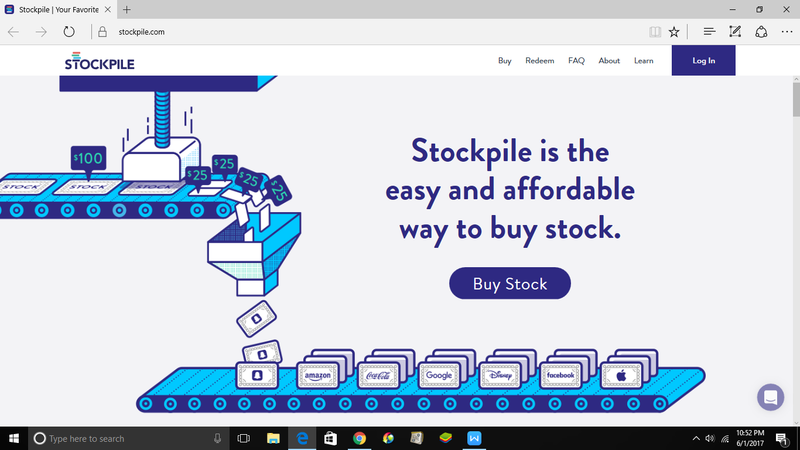 That conclusion, of course, assumes that there is no difference in the stocks, which is something that rarely happens. In general, companies that are profitable and growing at a slow but steady pace, if at all, pay dividends. 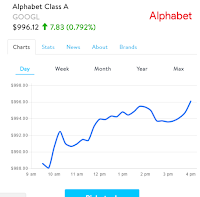 Companies that are re-investing everything they have into growing the companies do not pay dividends, but hopefully the price of the stock will increase in the long run. Of course if they overbuild, then the stock can crash for that reason. 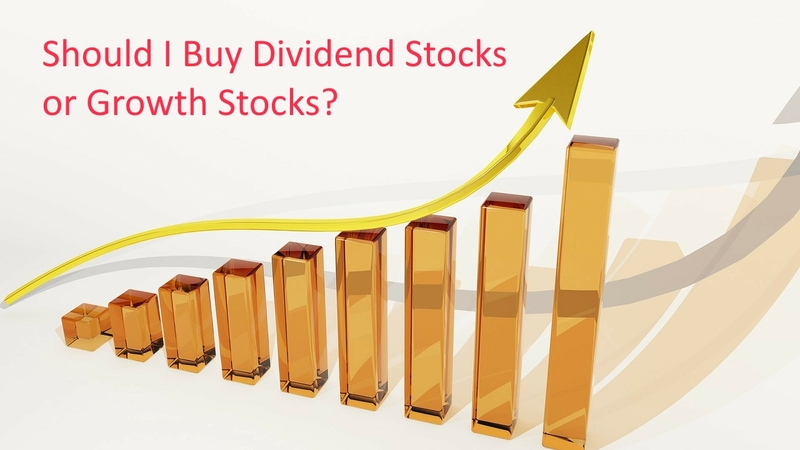 Are you a dividend investor? If so, has my little exercise made you reconsider your stance? Why or why not? Guess what? I teach kids to play with matches. Yes, I'm a Girl Scout leader and one of the things I teach my Daisies (kindergarten and first grade girls) is to light a match. I also teach them how to build a fire. 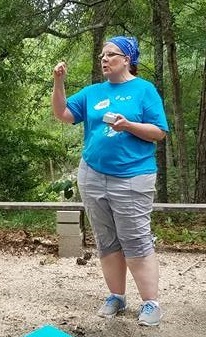 I've been a Girl Scout leader for more years than most, and I'm afraid I don't vary the presentation that much from year to year (but that makes it easy to see who "got" it when they went through it last year). I always start by asking the girls to raise their hands if they think matches are dangerous. Of course, they all raise their hands. Next, I ask them to raise their hands if they think pencils are dangerous. None (except those who've heard me before and remember) raise their hands. Then I ask them to raise their hands if they would like me to poke them in the eye with a pencil. For some reason, none raise their hands. I then ask again if pencils are dangerous, and with kind of confused look on their faces, most raise their hands. Finally, I point out that pencils are like matches--both are tools that can be dangerous if misused, but which are very useful and safe if we use them properly. Matches are not only like pencils, they are like credit cards. I've read more than one personal finance blog article about work-arounds that make credit cards unnecessary. I've read that I should turn down that offer to save 10% on the items I've already decided to buy, because to get that discount, I have to get a store credit card. 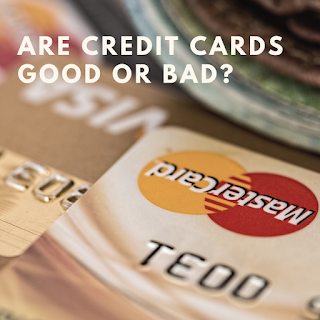 Dave Ramsey says that "Responsible use of a credit card does not exist." Is he right? Credit Cards are not directly linked to your bank account. One of the most frequently suggested replacements for a credit card is a debit card, which withdraws money from your bank account as soon as it is used. Frankly, to me that is for more scary than the possibility that I will misuse the card. I've had my wallet/credit cards lost or stolen and we all know store computers have been hacked. I've never been asked to pay for something I didn't charge, and I don't have to worry about a fraudulent credit card charge causing havoc with my checking account. The bank may reverse the charges if a thief uses your debit card, but what about all the people whose checks bounced because of the unauthorized purchase? If cash is stolen or lost, you can kiss it goodbye; if a credit card is lost or stolen, you just cancel it. I wish I could tell you that my wallet has never been stolen, but I can't. I wish I could tell you that I've never left a credit car lay someplace, but I can't. I wish I could tell you that neither cash or card had ever seen the inside of my washing machine, but that would be a lie. The bottom line is that credit card companies rarely hold you responsible for any unauthorized charges, and even if they do, there is a legal limit to your liability. Cash can be lost or stolen and you have little recourse. Credit card points, discounts, miles etc. If you can use your credit cards properly, these can build up into tidy sums of money. Yes, late charges and interest will eat them up in a hurry, but if you pay the card off every month, without fail, on time, this is free money (except for taxes). Credit cards provide a readily available source of easy to access credit, for EMERGENCIES. As far as I'm concerned, credit cards should be paid off monthly, with no balance carried over until the next month. You should have some money in the bank available to use for the everyday extra expenses and minor emergencies of life. In general, using your credit cards to pay for things you can't afford to pay for this month isn't a good idea. The interest rates are outrageous, and you need to learn to live within your means. That being said, stuff happens. People get laid off--and good luck trying to get a loan if that happens. Credit cards obtained when things are good, and used responsibly can end up with high enough credit limits to carry you through a couple of months. Credit cards can alleviate short-term cash flow problems caused by unexpected bills. In most families, an un-fixable washing machine must be replaced ASAP. Yes, you should have sufficient savings to handle things like that, but what if you don't? Sometimes the time the credit card (or the 90 days same as cash) buys you is enough. Credit cards are an easy way to provide family members with access to funds, without actually giving them money. My out-of-town college student and my in-town young adult both have credit cards with my name on them. They also both know what they may and may not use them for (they can use them for medical expenses/emergencies, auto emergencies, school bills and anything I send them to obtain for me). If you budget your checking account to the penny, having someone use a debit card in those situations can be problematic. Purchasing with a credit card gives you more power if you need to withhold payment or dispute a purchase. While some debit cards claim to give you purchase protection similar to a credit card, reality is that in any negotiation, the person with the money on his/her side of the table is at an advantage. With a debit card you are trying to recover money you have paid; with a credit card you are refusing to pay. They make it possible for you to buy things you don't need and can't afford. That's it--the problems with credit cards aren't problems with the cards, per se, but rather problems with the user. If having a credit card will turn you into an irresponsible spender, then by all means, don't get one. However, I'll admit to rolling my eyes at people who devise and stick to elaborate budgets that give jobs to every dollar every month and who can tell you to the penny what their electric bill was last month without checking their bank statement but who refuse to get a credit card. Credit cards aren't good or bad. Credit cards are tools; it is the user who determines whether they are misused or not.